You might have had to use a calculator at some point in your life. The calculator is an electronic device that is used to do basic math calculations. The basic or simple calculator performs the simple calculations like addition, subtraction, multiplication and division. However, with the changing requirements and complex situations, some advanced and scientific calculators have been developed for different purposes. You can now use the online calculator to find solutions not just for the simple math problems but a host of other calculations as well. Whether it is a complex math problem, problem of percentage or root, or a scientific problem, we have an online calculator for all. 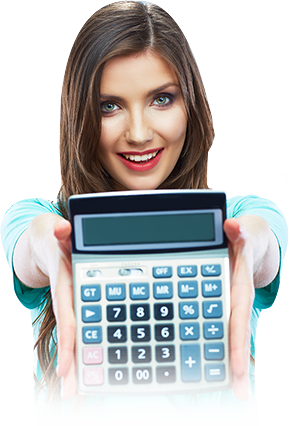 You can easily find the best calculator of your requirement at our site. With the help of our free online calculator, you would be able to perform all the calculations without having to spend anything. There are no charges on using any of our online calculators. The best thing about using the calculator online is that you need not use any other device to get answers to your problems as you can simply visit ALCalculator and find the required online calculator. Another advantage of using our calculator online is that you need not log in or register to use the online calculator. You can simply visit ALCalculator and start using the calculator. Our online calculator is the best calculator because we provide results as required by the user. Whether you require answers to two places of decimal or more or the answer as a whole number, we cater to all. This denotes that our calculator online is customized as per the user's requirement. Research: it is a good way to find the best calculator. You can do a lot of research and find the best calculator that satisfies your queries and your requirements. Comparison: another way to find the best calculator is by comparing between the different online calculator websites and finding the one that has more features than the others. Ease of use: the best calculator online is one that is simple and easy to use. There is no point in providing a calculator that has a host of features but they are difficult for the users to use. Our online calculator is the best calculator as it is simple and very easy to use. You can simply enter the digits and the commands through the mouse and keyboard and the result would be displayed on the same screen within seconds. Free online calculator: there should be no charges on using the free online calculator. If a website asks you to deposit a certain sum of money or processing fee for the usage of their free online calculator, avoid that website. We have the free online calculator where you need not pay anything to use our calculators. They are available totally free of cost. These tips would help you find the best calculator online.